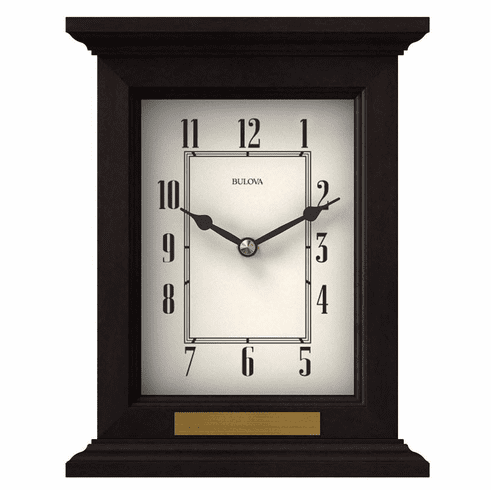 This table clock features a solid hardwood case with an espresso finish. Engraving plate included. Dimensions: H: 7.25", W: 6", D: 2.5"